Sean Choolburra is a charismatic, vibrant and captivating performer. Fuse his engaging energy, alongside historical facts, spiritual wisdom, depth of ancestral understanding and knowledge and you have one very exciting and talented cultural ambassador. Cheeky, clever and charismatic, Sean Choolburra has carved his niche as Australia’s No 1 indigenous entertainer. Weaving his inimitable blend of traditional dance, didgeridoo, story, knowledge and humour, Sean never fails to captivate audiences of all ages. Sean’s ancestors are Gu-Gu-Yalanji, Kalkadoon, Kandju and Bwgcolman from around Townsville and Palm Island. He has toured schools and colleges throughout Australia, Canada, Japan and New Zealand for over 15 years. Hailing from Townsville, Sean has an established career as a dancer: he created the Ngaru Dance Company, and performed all over the world with the Bangarra Dance Company, including by invitation for the Dalai Lama, Hale & Pace and Prince Charles. But these days, Sean is in constant demand as an MC and Comedian for official functions, corporate events, theatre shows, comedy clubs, workshops, openings & festivals. Sean’s entertaining presentations engage and educate students, presenting traditional cultural information with humor and variety. Sean’s brilliant personality and use of music and dance make students excited to learn. Dance – stories – painting – fire creation – didgeridoo playing: all are presented with a wonderful array of artefacts, from fishing nets to hunting shields. Students are encouraged to dance, sing and participate! Sean’s comedy is uniquely & truly Australian. His is a fresh voice in a comedy scene inundated by white fellas. He blends pop culture, dance, comedy and hip hop in a high energy, feel good show. Sean gives audiences a chance to get in on many hilarious ‘Black Fella Yarns’. Perhaps it is his ability to share the naivety of a small town aboriginal boy, still coming to grips with the big city lights, that makes him all that much more inviting and engaging as a performer. Sean is a dynamic and versatile comedian, rap singer, dancer, storyteller, actor & hip-hop didge player. He is a rising star of not only the comedy world, but also as an all-round entertainer, and is guaranteed to raise your spirit while splitting your spleen. After winning the NSW Raw Comedy final in 2002, Sean headlined the Dreaming Festival 2005–2008, and has performed at the Edinburgh Fringe Festival, the Scottish Storytelling Festival, and the Adelaide Fringe Festival. He appeared on TV in the NRL Footy Show, Thank God You’re Here and the Melbourne International Comedy Festival Gala. He has hosted and recently performed at Deadly Funny in Melbourne, Adelaide & Perth. 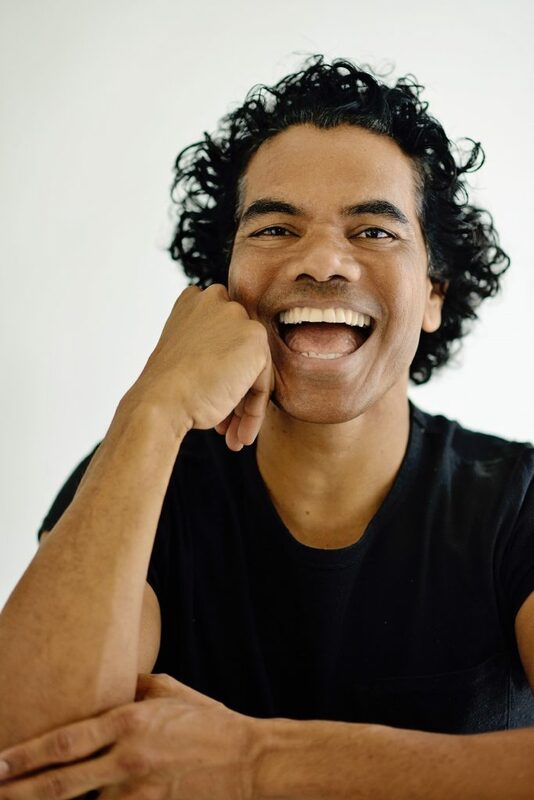 He has previously performed at the Sydney Opera House and the Melbourne Comedy Festival with his one man show Oil of my Land, which drew on his life experiences as an aboriginal growing up and gave perfect opportunity for blending his skills as a dancer and didge player.